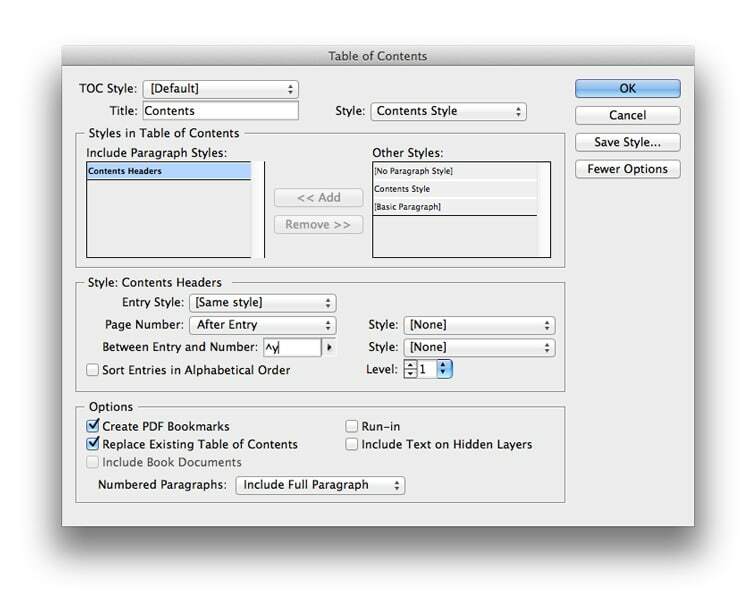 InDesign has a designated tool for automatically creating contents lists, the Table of Contents (TOC) function. If you’re working on a lengthy document this can be a fantastic time-saver. 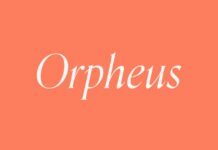 To explain how it works, we’ll walk you through the process of creating a Table of Contents for a short book. Before you begin putting together the table of contents, you need to make sure you’re happy with your page numbering. 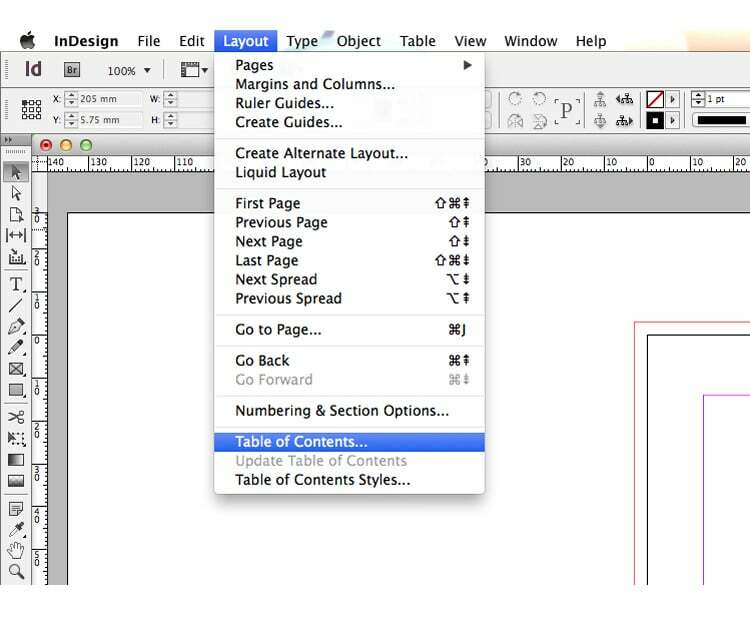 InDesign will use your page numbering information to make your table of contents, so it’s important to get it accurate. 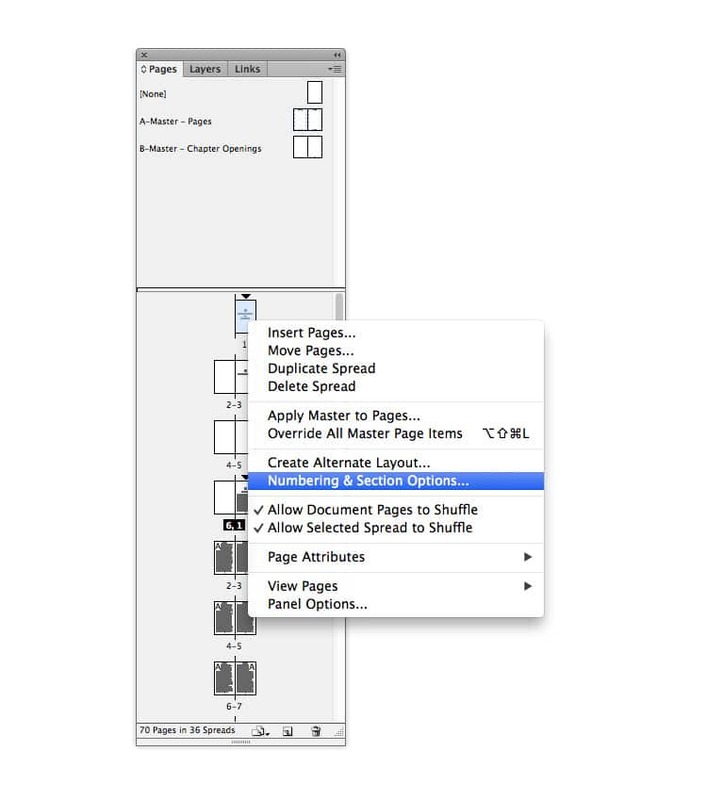 You may have already introduced page numbers into your InDesign document by placing markers onto the Master pages. If not, and you don’t know where to start, make sure to check out this quick tutorial first. The page markers will reflect the page number as listed in the Pages panel (Window > Pages), and not necessarily the page number you want it to be. So this is the first thing to address before you put together a table of contents. 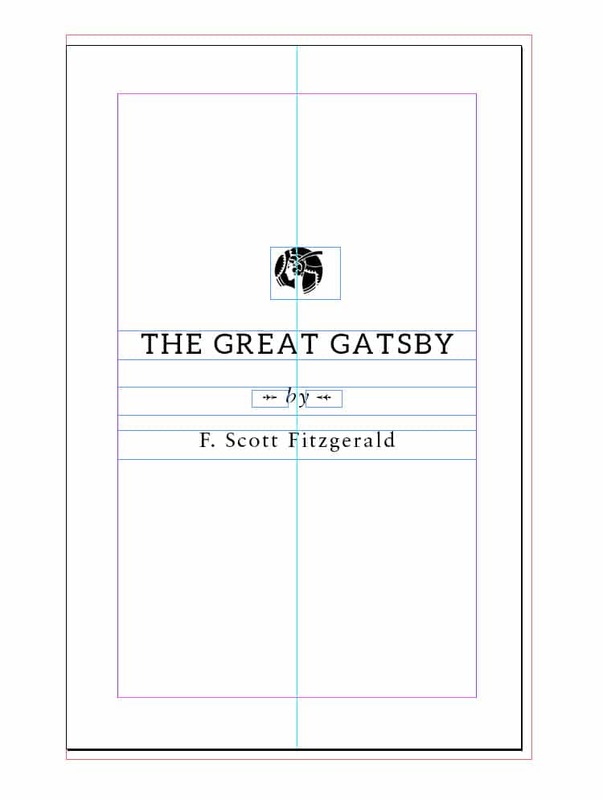 I’ve created a document in InDesign, made up of facing spreads, for the inside pages of The Great Gatsby. My document has three chapters, with each new chapter page defined by a chapter heading, graphic and half-page text frame. At the moment the first page of Chapter One is on page 7 of the document, which the marker has rendered as a ‘7’ on the page. I want to change this and make this page show up as page 1 of the document. 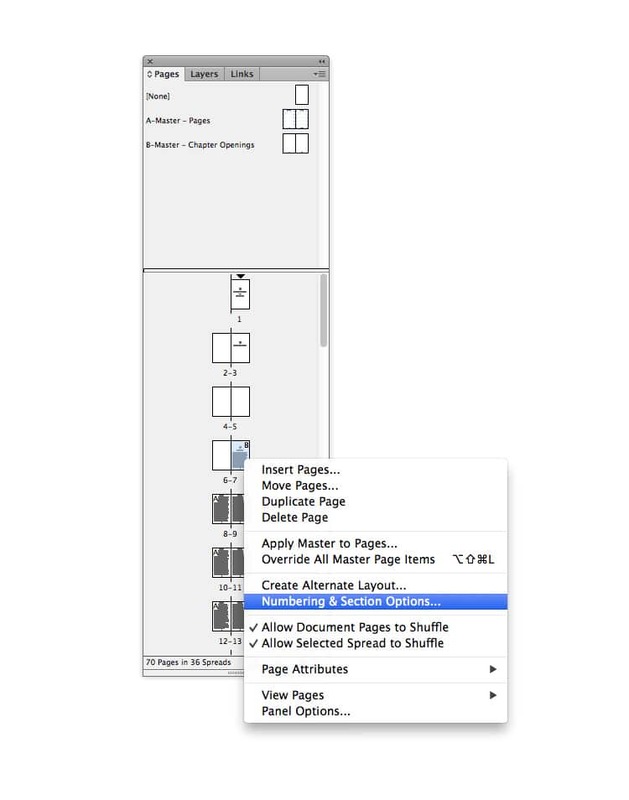 Expand the Pages panel (Window > Pages) and Right-Click (Windows) or Ctrl-Click (Mac) on the page you would like the numbering section to start from, in my case Page 7. Then click on Numbering & Section Options. In the window that opens, select Start Page Numbering at: and type in 1. Under Style choose 1, 2, 3, 4… and then click OK.
A warning message will flag up, reminding you that by making this change you will have created a duplicate of pages 1-6 in your document. We can rectify that, so just click OK. 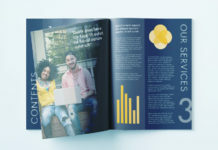 In my book document, I have designed it so that no page numbers appear on the introductory pages of the book. This is quite common for novels, with numbered pages only beginning on the first page of the first chapter. Irrespective of whether the page numbers are visible or not, to avoid duplicate page numbers in the document I can set these first few pages to have a different numbering system. 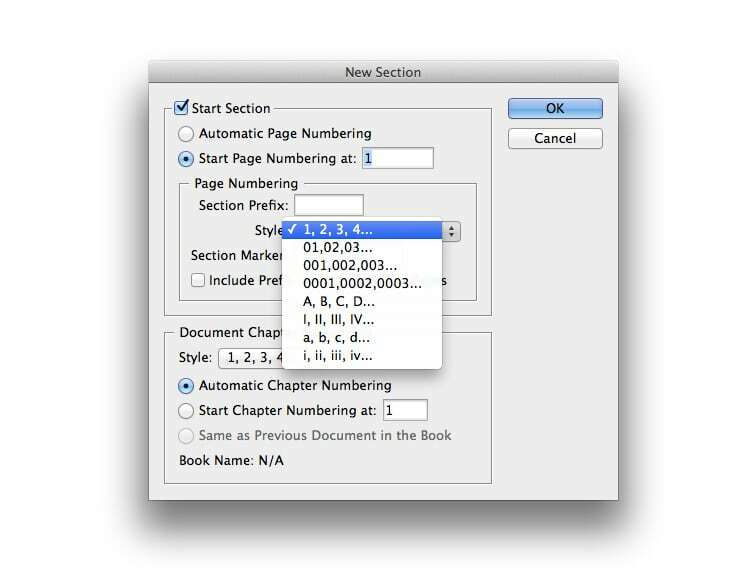 Right-Click (Windows) or Ctrl-Click (Mac) on Page 1 in the Pages panel > Numbering & Section Options. 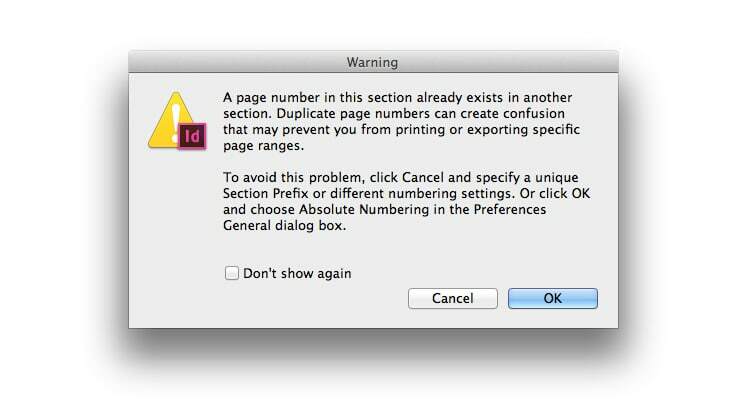 Again, select Start Page Numbering at: and type in 1. 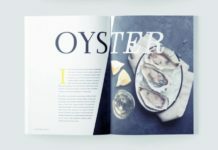 Under Page Numbering, choose a different Style for the numbers—roman numerals are usually a good choice for introductory pages. 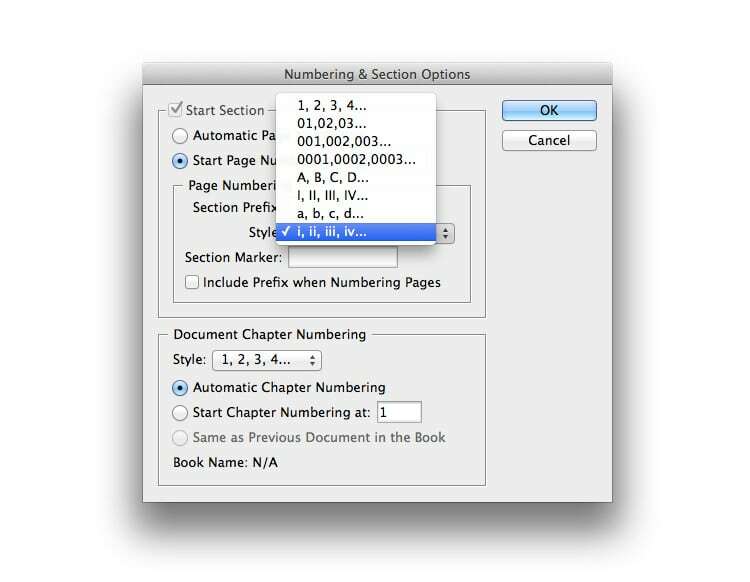 Then click OK.
Now you have two separate numbered sections in your book. 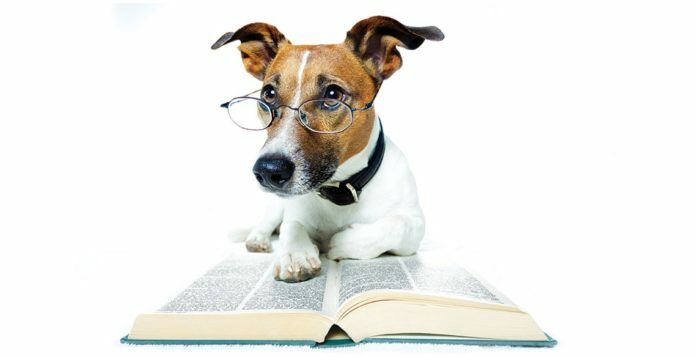 Once you have decided on all the numbering for your document (for example, you may also want to have a different numbering system for the final pages of the book, as part of an index or bibliography) you’re almost ready to create a table of contents. There’s one more ‘prep’ stage before you create a Table of Contents and that’s to create a Style for the title of your contents list. 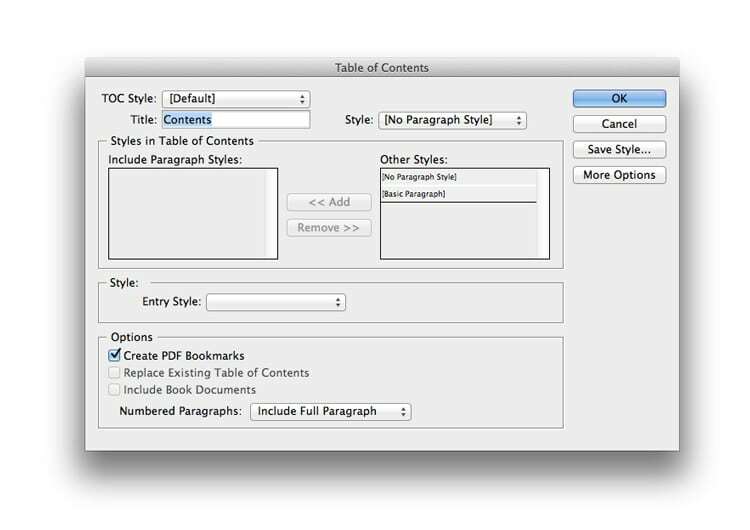 You can do this either from the Paragraph Styles panel (Window > Styles > Paragraph Styles) or from inside the Table of Contents function directly. Let’s do the latter, so we can take a look at the TOC window. 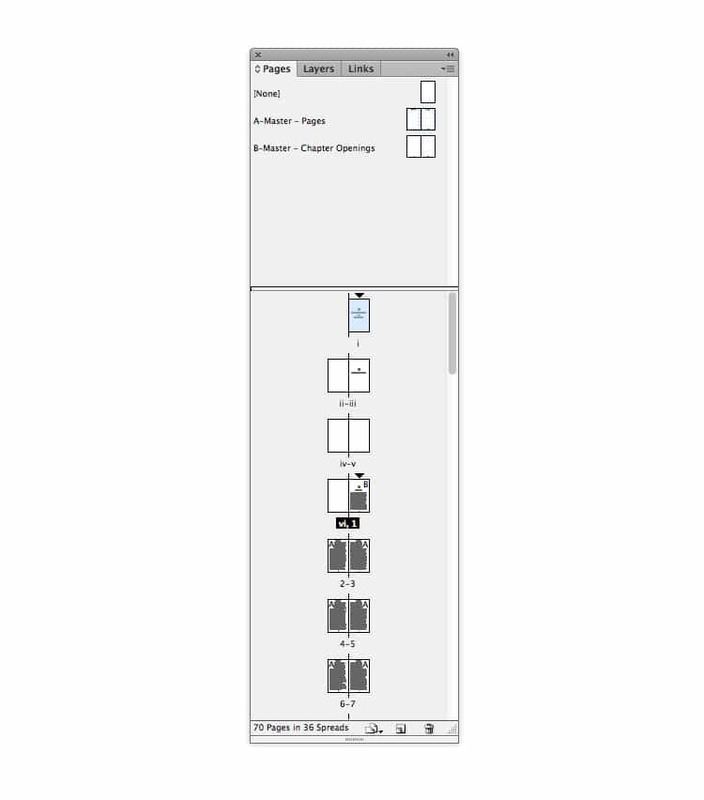 Go to Layout > Table of Contents. In the Table of Contents window that opens you’ll notice a Title text box at the top-left of the window. This is where you can set the text for the title of your contents. 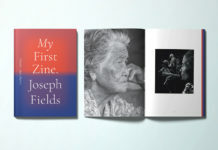 A simple ‘Contents’ is pretty failsafe, but you might want to customise this to fit your own project, such as ‘In This Issue’ or ‘List of Entries’. To the right of this text box is a Style drop-down menu. 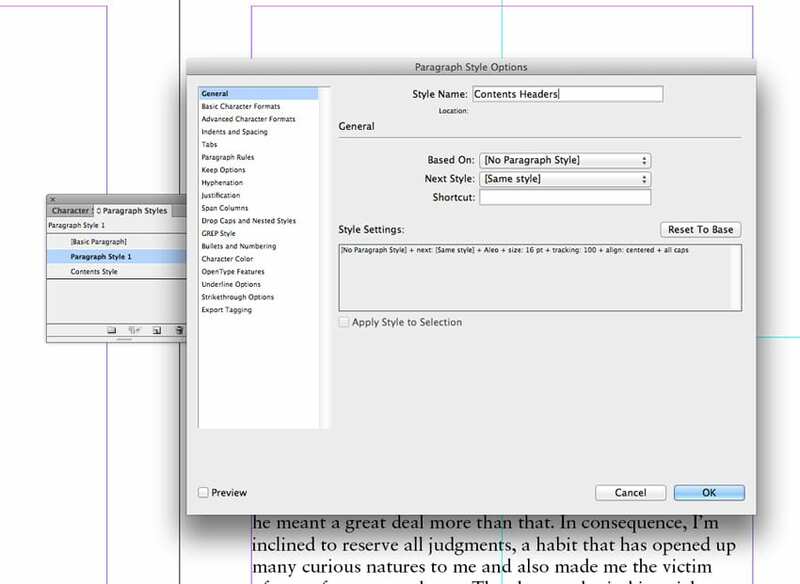 From here you can either choose a pre-created Paragraph Style or create a New Paragraph Style. 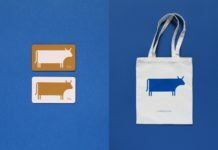 In this case let’s create a new Style. I’m going to name it ‘Contents Style’ (or something like ‘Contents Title’ might also be a good fit), and set the Font to Aleo Light, Size 12 pt to match the formatting I’ve used for headers in my book design. Clicking on Indents and Spacing in the left-hand menu allows me to tweak the Alignment of the Style to Center. Then I click OK.
Back in the Table of Contents window there is a Styles in Table of Contents section in the center. You can see that we can’t create a new Paragraph Style for the body of the Table of Contents directly in this window. We’ll need to create them first, then return to the TOC window to add them to the Include… list. So click OK for now. 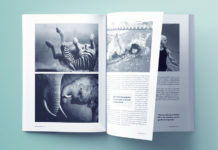 Styles are one of the most useful functions in InDesign, but are often underused. 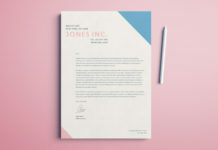 Creating a Paragraph Style allows you to reproduce the exact formatting of your text elsewhere in your document, so it’s a great timesaver when you’re creating text-heavy documents like books. 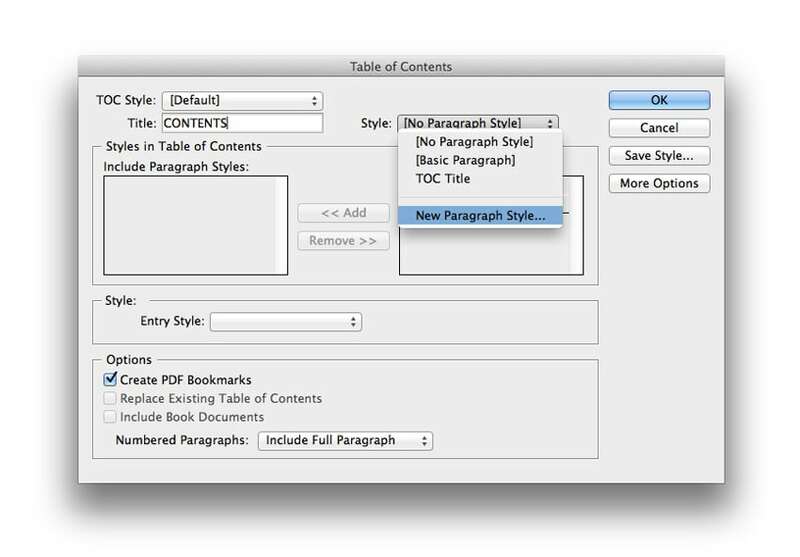 We can create a new Paragraph Style for only the chapter headings in the book, and then tell InDesign to only use these styled items of text to create the contents list. 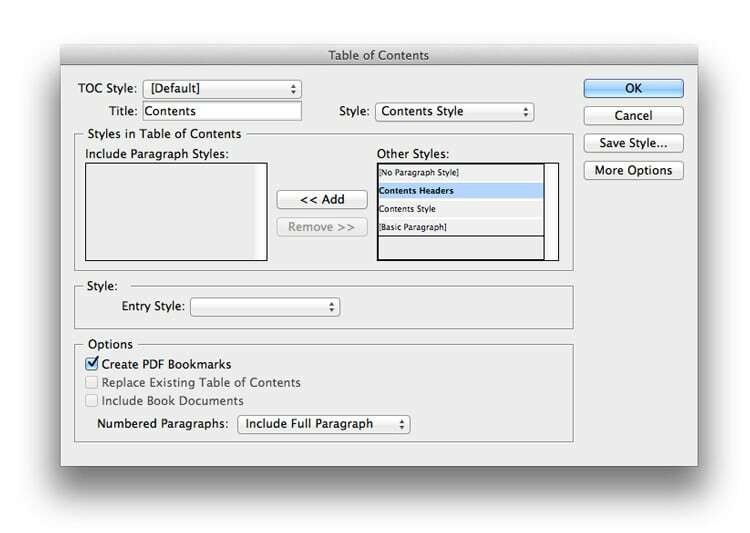 Click to select the Chapter One heading text frame in the body of your document. 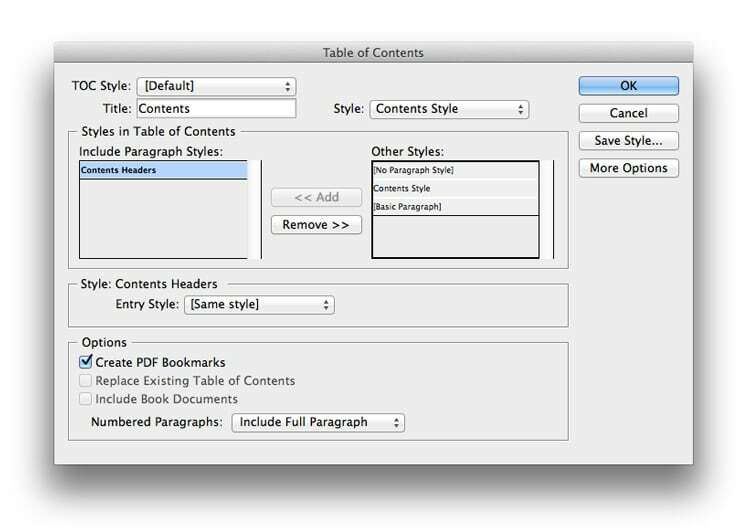 Open the Paragraph Styles panel (Window > Styles > Paragraph Styles) and click on the Create New Style button at the bottom of the panel. 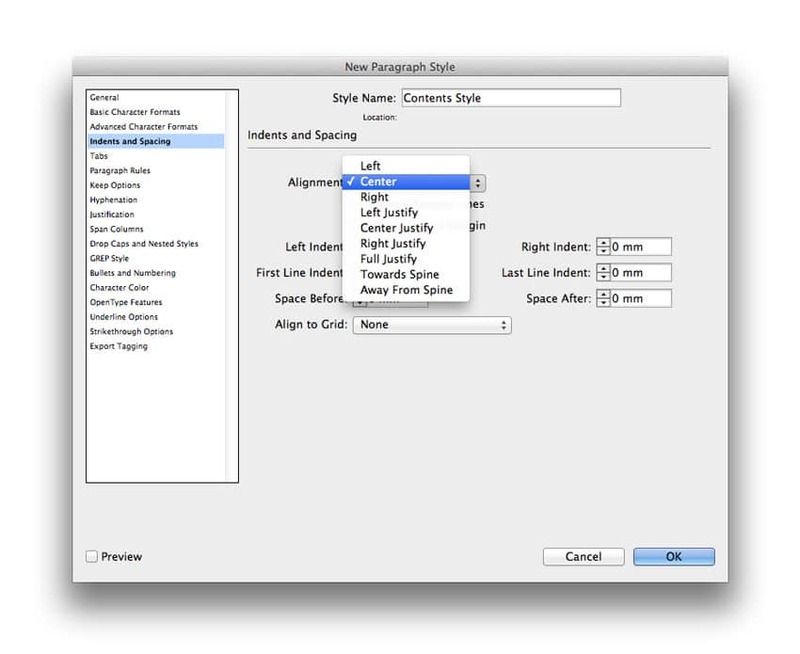 Double-click on the new Paragraph Style 1 name in the Styles panel to open up the Options window. Rename the Style as something like ‘Contents Headers’ and click OK.
Scroll through your document, clicking on each new chapter heading and then clicking on the ‘Contents Header’ Style to apply it. 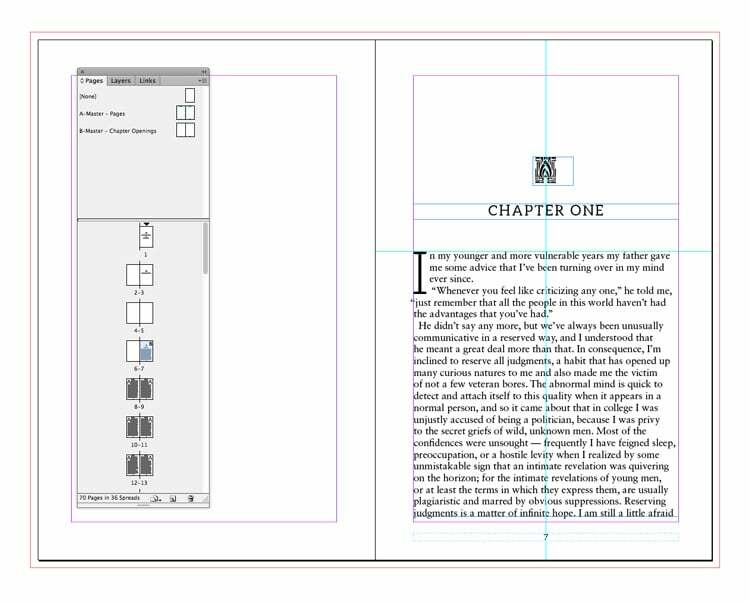 If you’ve already formatted all your chapter headings in the same way this won’t affect the look of the text, but it will tell InDesign that all the chapter headers now have their own distinct style which sets it apart from other content in the document. 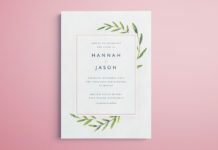 Now that you have your numbering system and Styles in place, you’re ready to create your contents list. 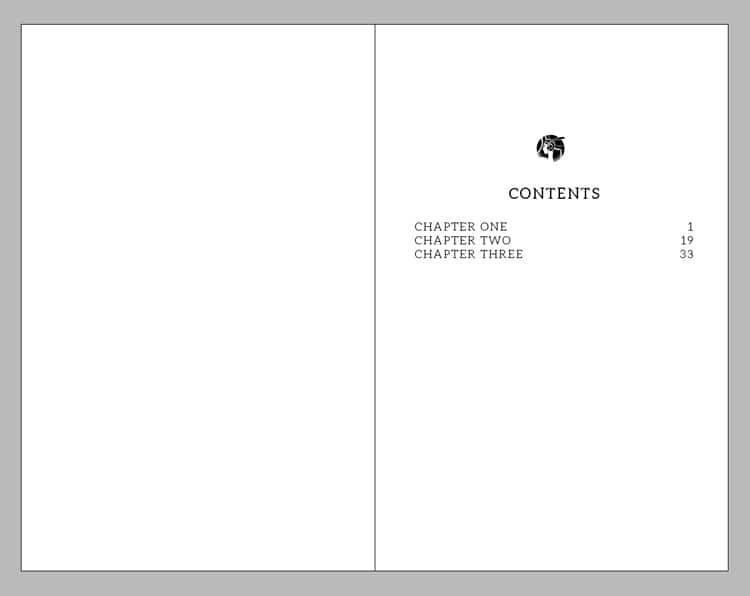 Go back to Layout > Table of Contents. 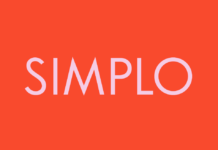 As before, set the Title and title’s Style, choosing the original Style you created for this (e.g. 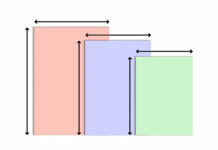 ‘Contents Style’). Then from the selection of Other Styles below, click on the new Style you just created, the ‘Contents Header’ Style. Click the Add button in the center of the window to add it to the Include Paragraph Styles list. By clicking the More Options button you can customise your TOC as you like, defining how the Page Numbers appear, how these are styled and whether there appears any symbol, such as dashes or dots, Between Entry and Number. 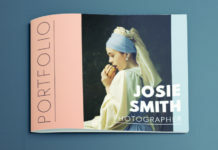 Explore the options, and customise as you like it, before clicking OK.
A small text preview will appear next to your cursor, indicating that the cursor is loaded with the created table of contents and is ready to place. Navigate to the page of the document where you would like the contents to be and click once onto the page to create the contents list in a new text frame. Now you can tweak the formatting of the contents if you like, using the Paragraph panel (Window > Type & Tables > Paragraph) to adjust alignment. 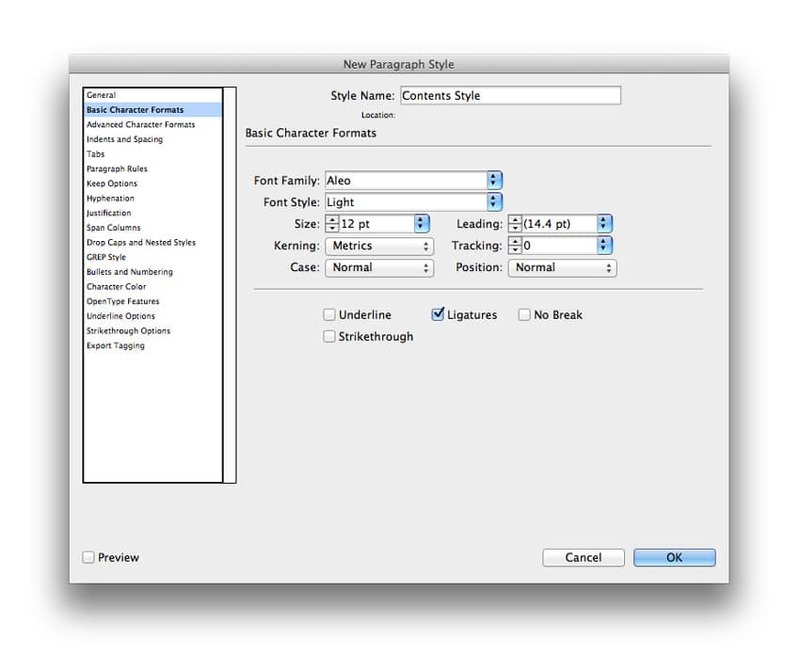 Or use the Character panel (Window > Type & Tables > Character) to adjust the Font Size, Leading or Font Weight (e.g. 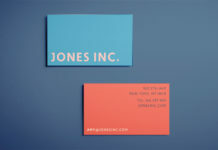 Light, Bold) of the text. 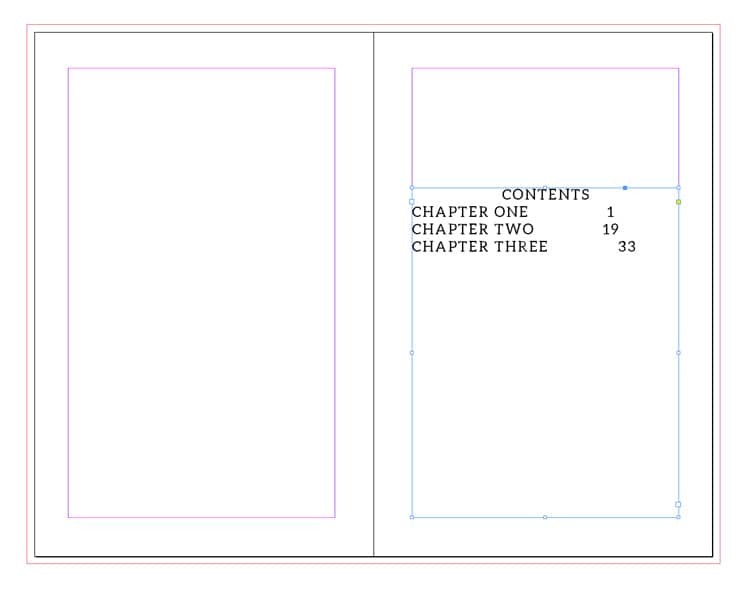 Format the rest of your contents page as you would for the rest of your book, and there you have it! A simple, quick-to-create table that shows all the page numbers of your chapters accurately without needing to manually type them all up. 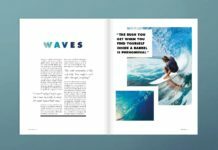 Delve deeper into book design with our selection of publishing tutorials and inspirational articles for book fonts and book cover designs.